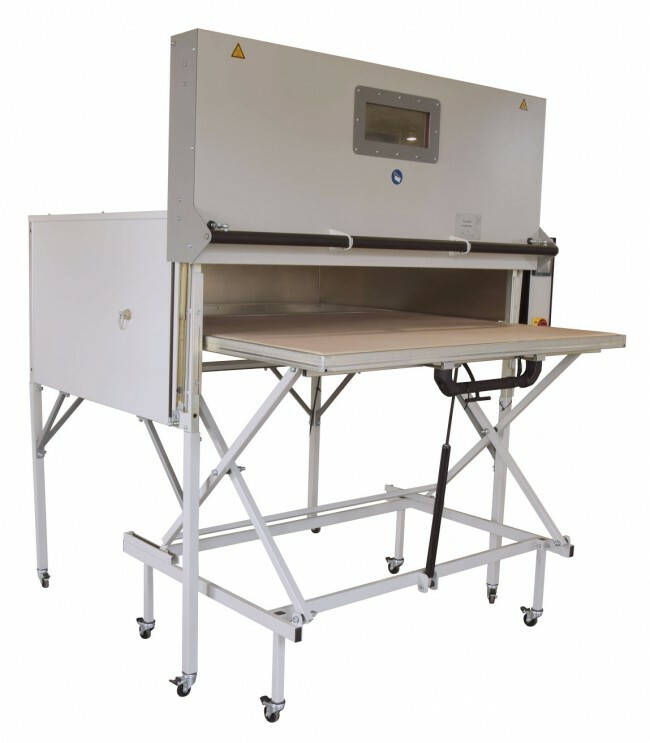 The Infrared oven IR1302 has been developed especially for the O&P field and its special needs. This model is the most versatile infrared oven because of its size. The .02 series offer a new touch screen control paneland optical temperature sensor, timer feature, ramp feature for slow heating processes (Pre-Preg processing) and much more. 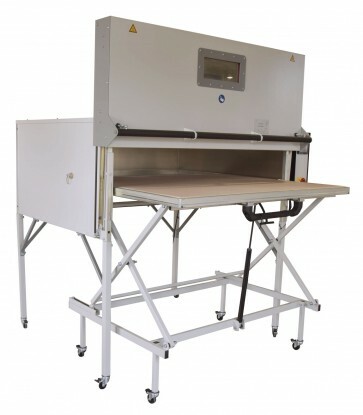 The IR1302 comes with a Roll-About Tray with Teflon membrane 48 ½’’x 41’’ (124 x 104 cm), moveable and height adjustable for Blister-Forming Trays and a space saving sliding door and 2 adjustable heating zones. The IR1302 has been developed especially for the O&P field and its special needs. This model is the most versatile infrared oven because of its size. Equipped with the next generation of control system that allows the user to store four temperatures settings in the same time. The new two-line display keeps the user constantly updated of the preset and actual temperature values. A signal light informs the user when the set temperature is reached, even if he is not standing right in front of the control panel. Opto-electronic IR-measuring unit, measuring of the materials surface temperature.